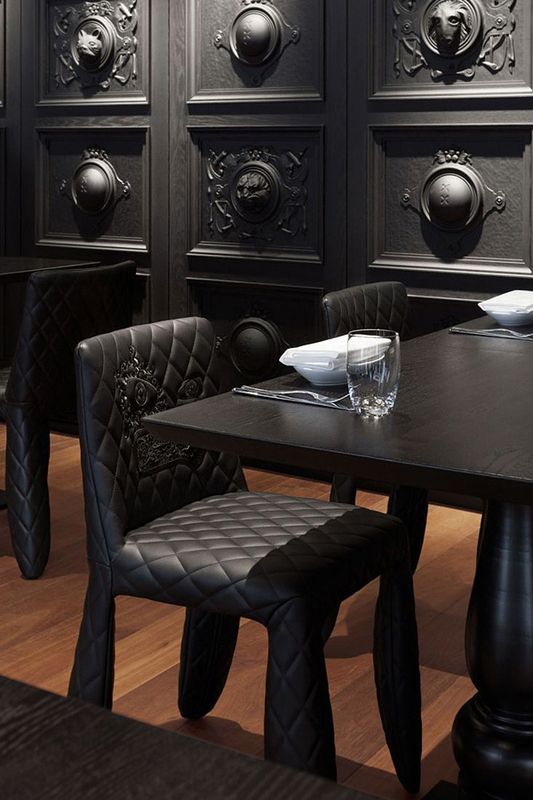 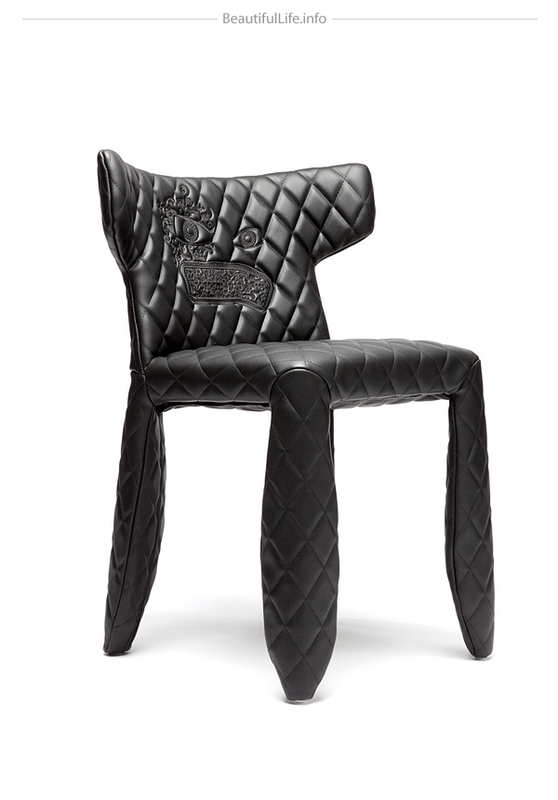 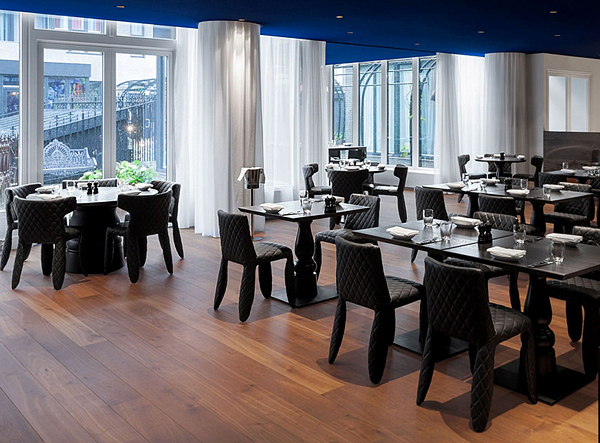 Let us show you collection of modern leather chairs originally designed in 2010 for Moooi by designer Marcel Wanders. 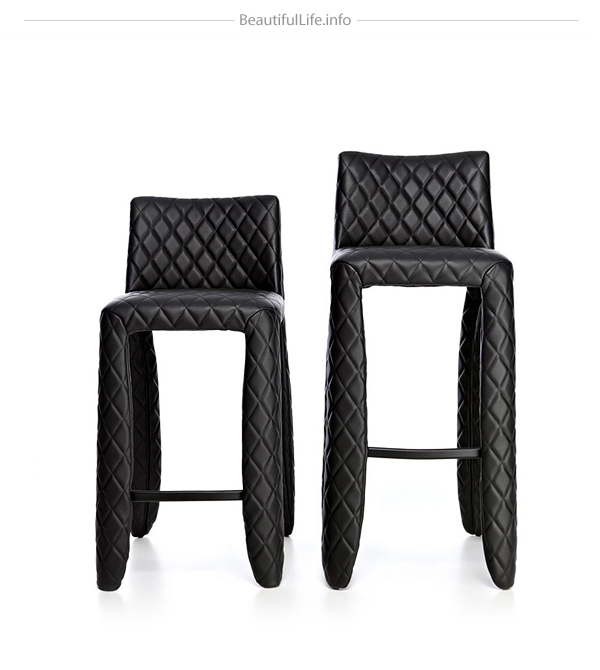 The chair family comes in two styles: one with a flared and rounded back. 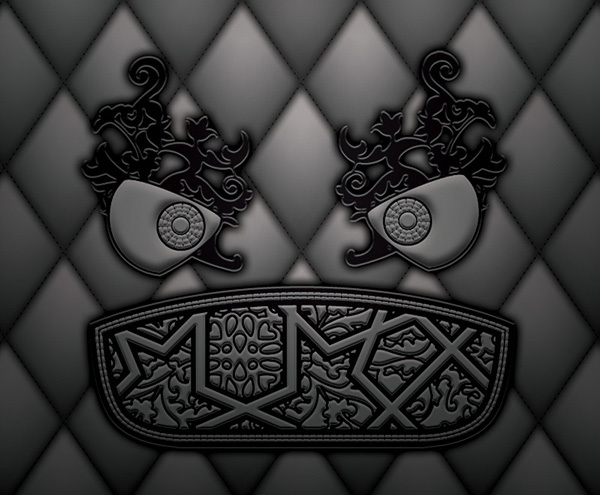 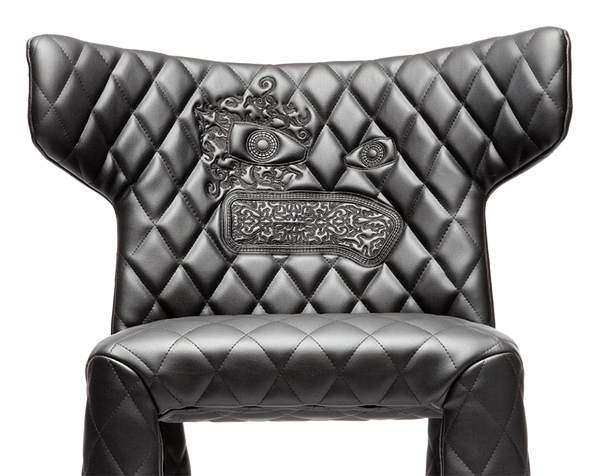 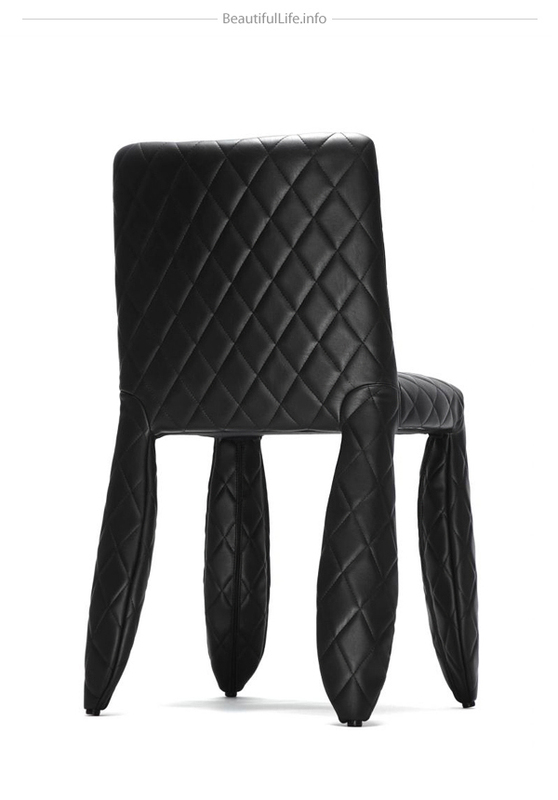 A stylish puffy quilted black synthetic leather chair available with or without a fabulous "monster face" sewn into the back. 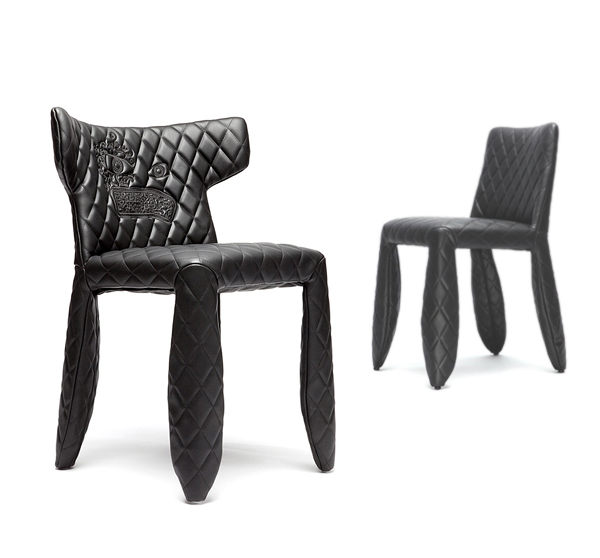 The chairs have a steel frame, fire retardant synthetic leather upholstery and have been subjected to an abrasion test of >50.000 rubs. 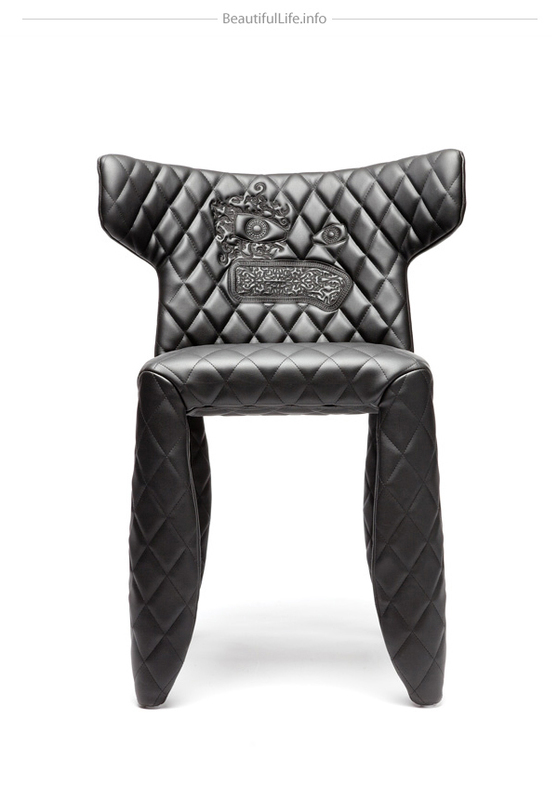 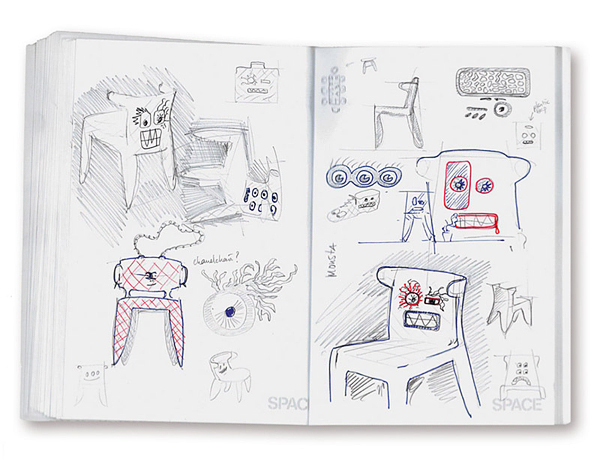 The Monster chair was joined by the Monster barstools in two heights in 2011 and the Boutique Sofa, but neither appears to be available with the whimsical monster face. 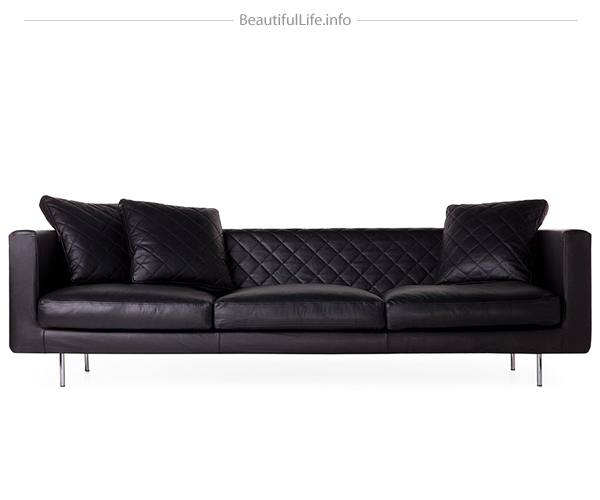 On Wanders own site he shows a Monster Pillow. 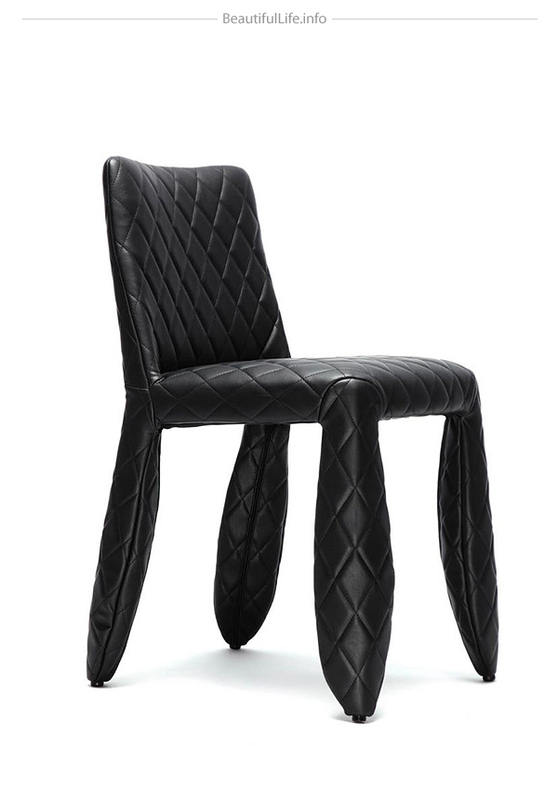 So don’t waste your time and check this modern leather collection.